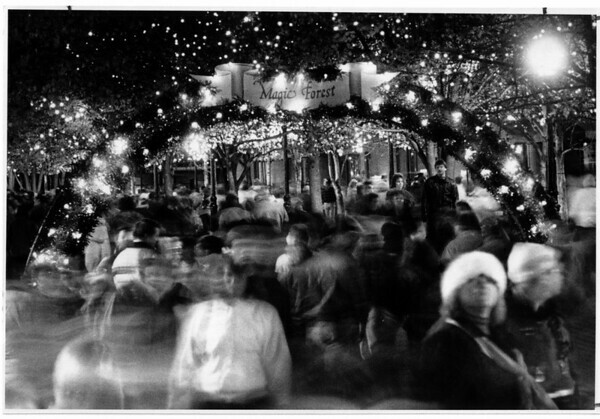 Old Falls Street takes on a festive atmosphere after the official 1990 - 1991 opening. Here a time exposure of 15 second shows the streaming crowd entering Old Falls Street from Lackey Plaza. Photo - By James Neiss - 11/24/1990.